Today, people can travel all over the world in a few days or weeks. 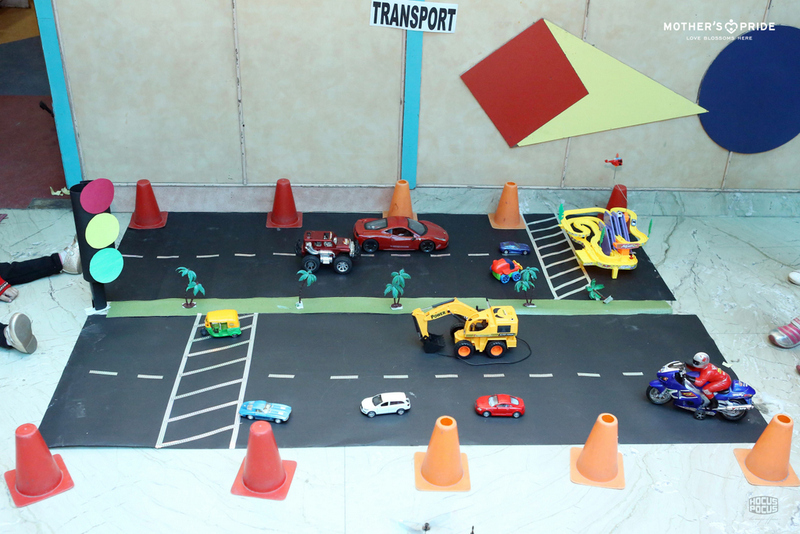 Modern transportation has changed how people work and live. People can live in one place, but work with people in another country. 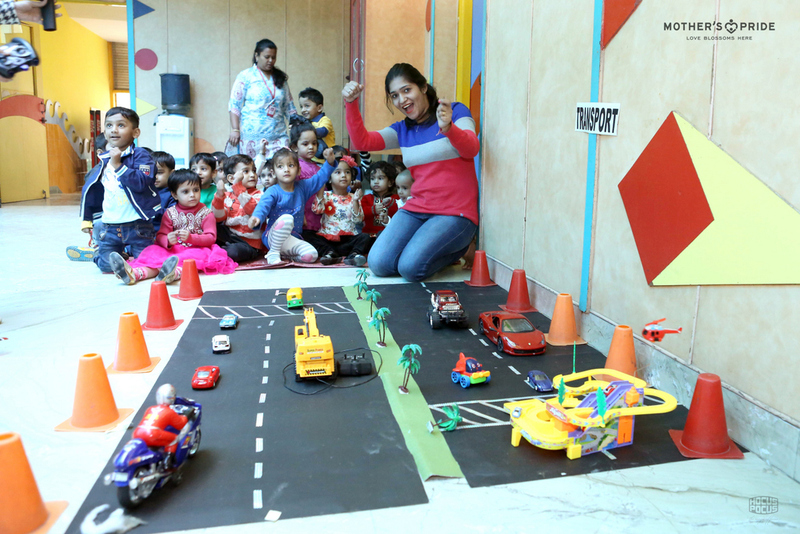 A fun filled activity was designed to introduce and teach our Prideens about the various modes of transportation. 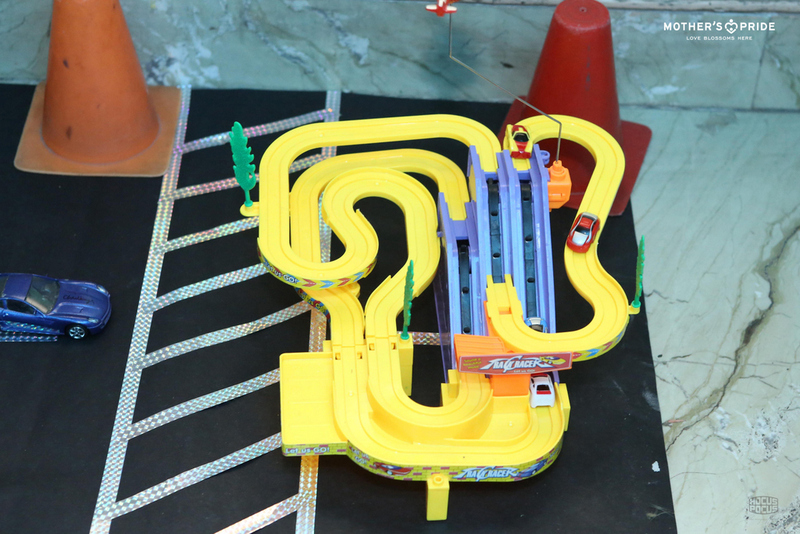 The concept was executed by creating an exciting road scene on which all modes of transport such as cars, helicopters, bike, auto rickshaw etc., were displayed. 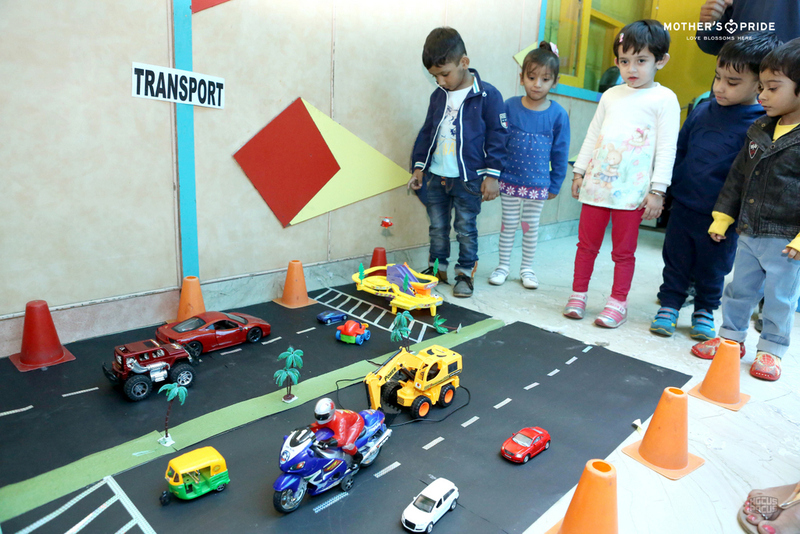 The children were encouraged to recognize the different types of transport. 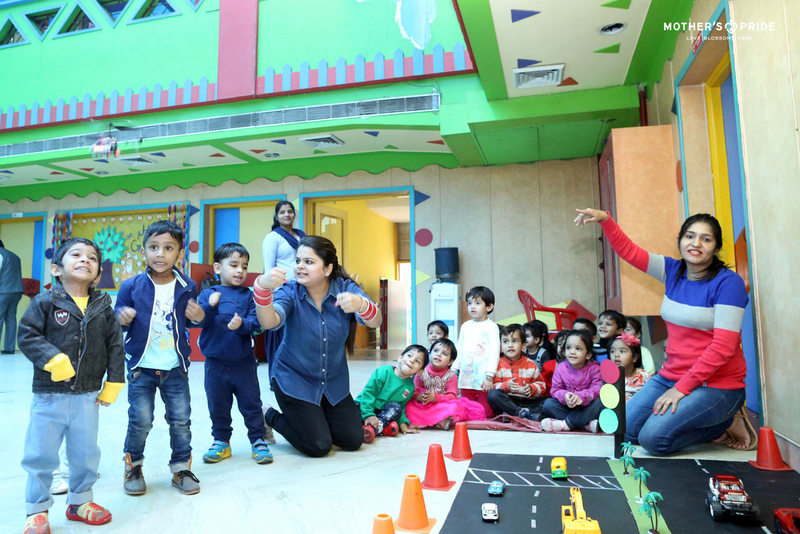 Teachers also taught our Prideens the concept of traffic lights and road safety while singing the poem “Red Light Red Light”. 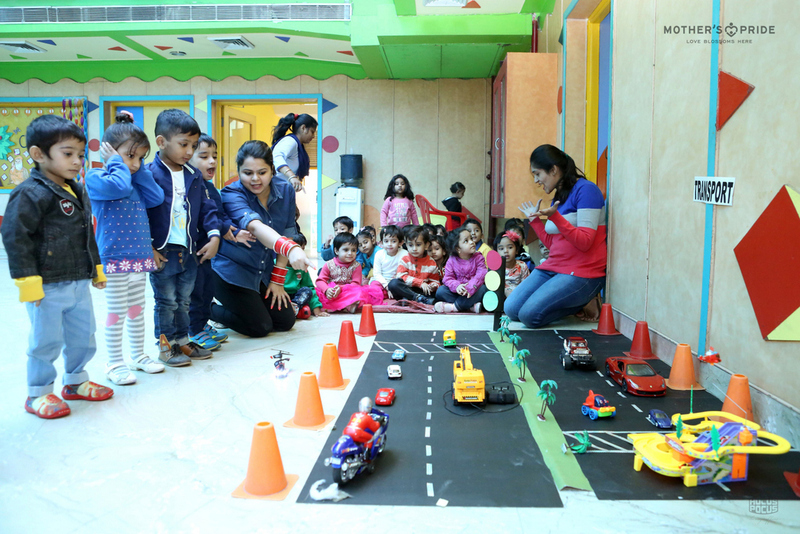 Prideens had fun, as they learnt the names of different vehicles and their uses through animated vehicle characters. 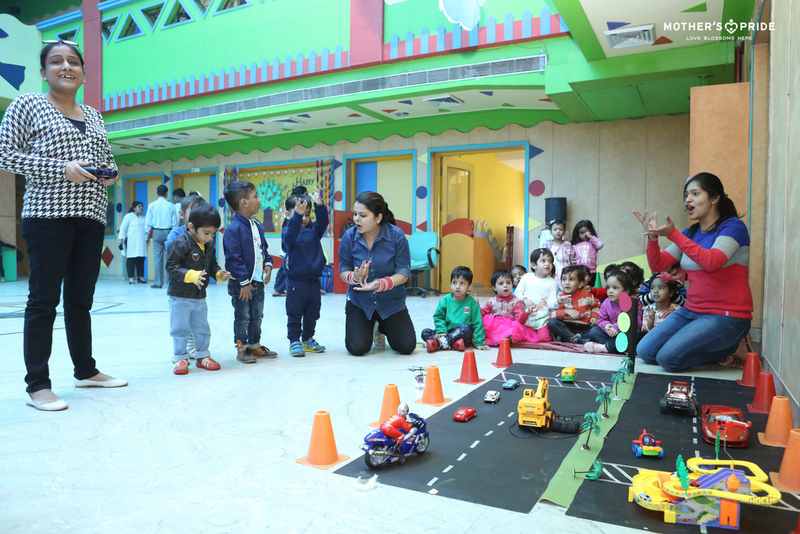 The activity, followed by a practice exercise, helped them to recall and identify the names of common vehicles. 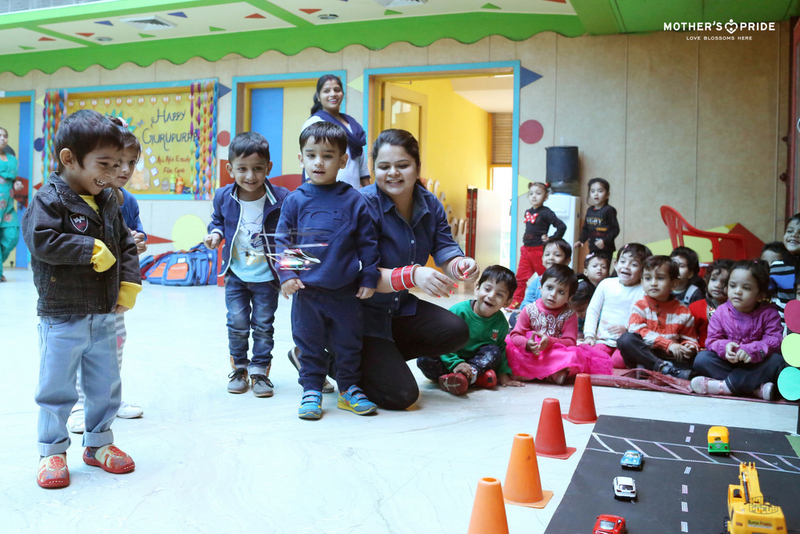 It encouraged logical and reflective thinking among them. 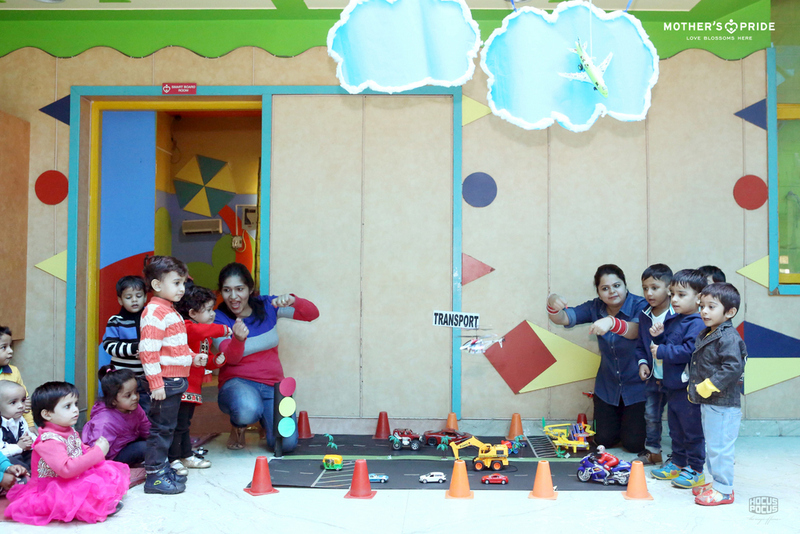 They were extremely excited and completely involved in the activity. 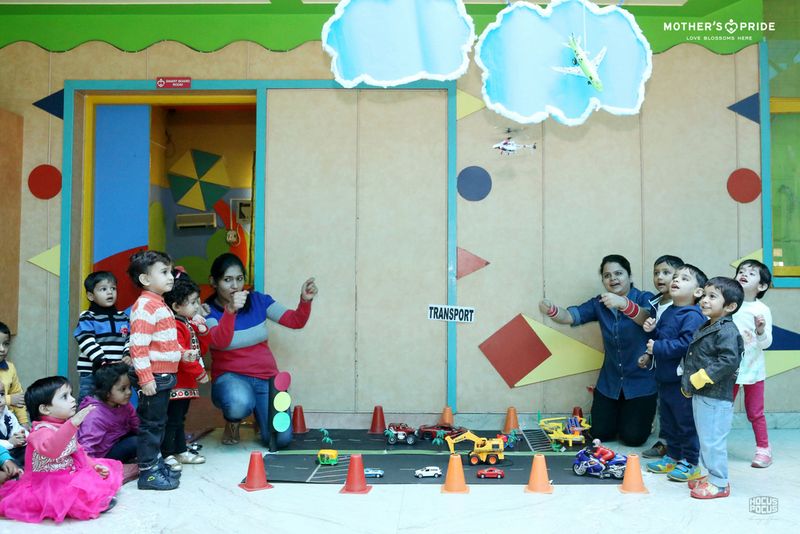 All of them thoroughly enjoyed the concept.